Sunderland-based law firm, Sweeney Miller Solicitors, has selected the Proclaim practice management software solution from Legal Futures Associate Eclipse Legal Systems for a firm-wide rollout. Established in 2002, the young practice provides the full range of legal services for its national base of clients. In preparation for alternative business structures (ABSs), Sweeney Miller recognised the need to optimise profitability and reduce administrative waste on each case. 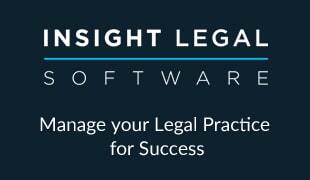 Following a review of the leading legal software solutions on the market, the firm selected Eclipse’s Proclaim system. Sweeney Miller is implementing the Proclaim conveyancing, probate and personal injury (with RTA portal integration as standard) casetypes, as well as a Proclaim matter management system for less prescriptive work areas. The firm is also taking Proclaim Accounts to form a completely integrated practice-wide solution for all staff. Eclipse will be carrying out a conversion of data from the firm’s incumbent financial system. In addition, the firm is implementing Eclipse’s FileView online case tracking tool to provide its clients with 24/7 access to live case progression data, plus the ATM (automated task manager) module to streamline workflow and minimise unnecessary manual intervention.